You are here: Home / All Posts / Message of the Day: Art is Not Free. Live. Support. Buy! Message of the Day: Art is Not Free. Live. Support. Buy! 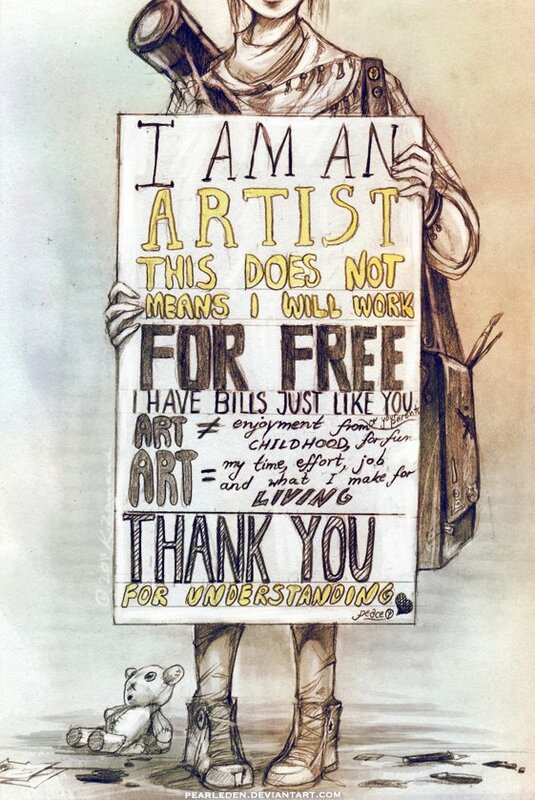 Art is not free. Support it. Live it. Buy it! Art is the pulse of society and an essential part of the soul of humanity. Artists don’t just make art. They are art. Without them, the world is a sadder place. Art takes time, effort, talent and skill just like any other job. Just a reminder for us all to do our part to help them flourish. « ‘THE CONVERSATION’ Artist Dylan Neuwirth’s Beautiful, Multimedia Exhibition!